Melville Castle is very pleased to be associated with a number of partner companies who provide services for weddings and events. 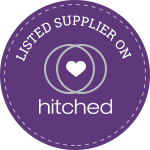 Suppliers contact information is listed below for your ease and you can view further information at the back of our wedding brochure. With special thanks to Orange Lemur Photography and Philip Hawkins for supplying many of the wedding images which feature on these pages. Please visit their websites for further information.